The days I get a Pottery Barn catalog in the mail are the best, I love curling up with them and a cup of tea or coffee and ear-marking all the beautiful products and inspiring photos. 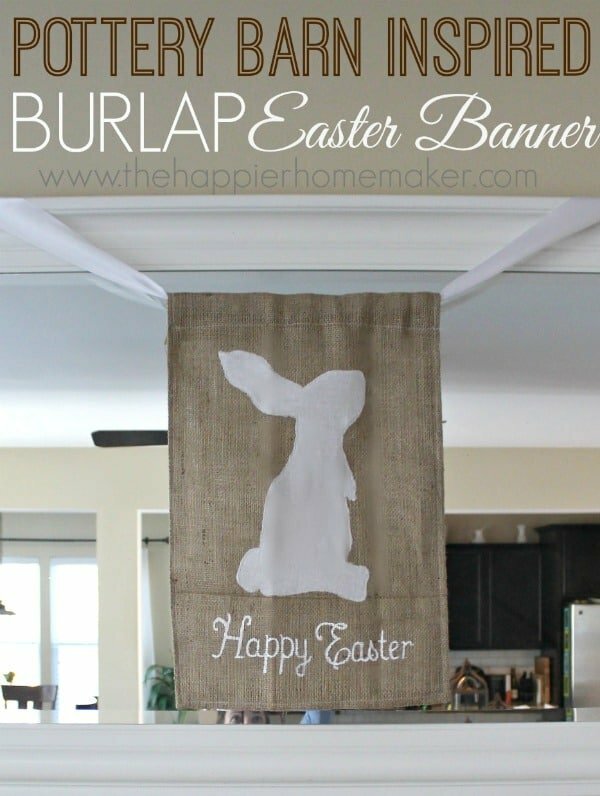 I saw this Outdoor Burlap Happy Easter Flag in the most recent catalog and loved it but as usual I wanted it for a slightly different purpose. I thought it would be the perfect addition to the mirror over my mantel for the Spring but of course the dimensions of the Pottery Barn Flag were far too big for my mantel. I decided to DIY my own version and it was so much easier than I thought! 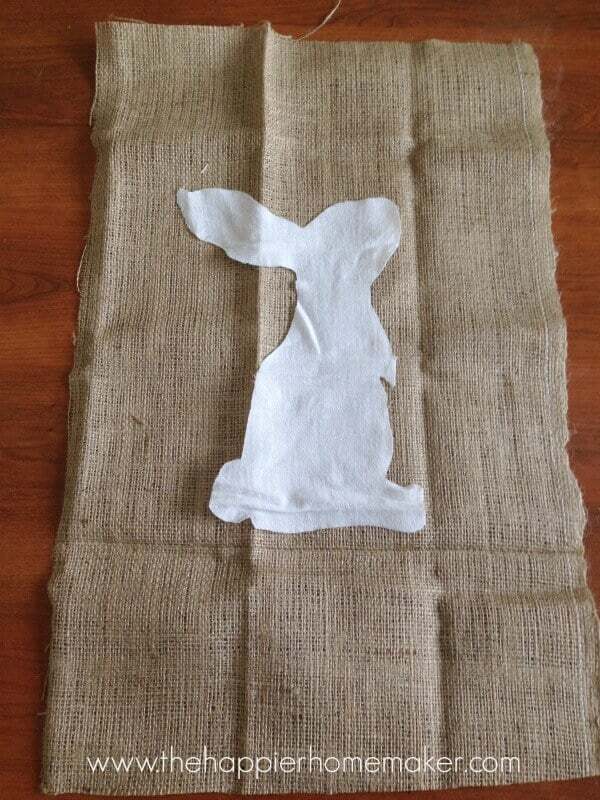 I started by cutting a 24″ by 16″ rectangle of burlap fabric and cutting a freehand bunny silhouette out of my white tea towel (the same inexpensive tea towels I used for my painted tea towel tutorial.) 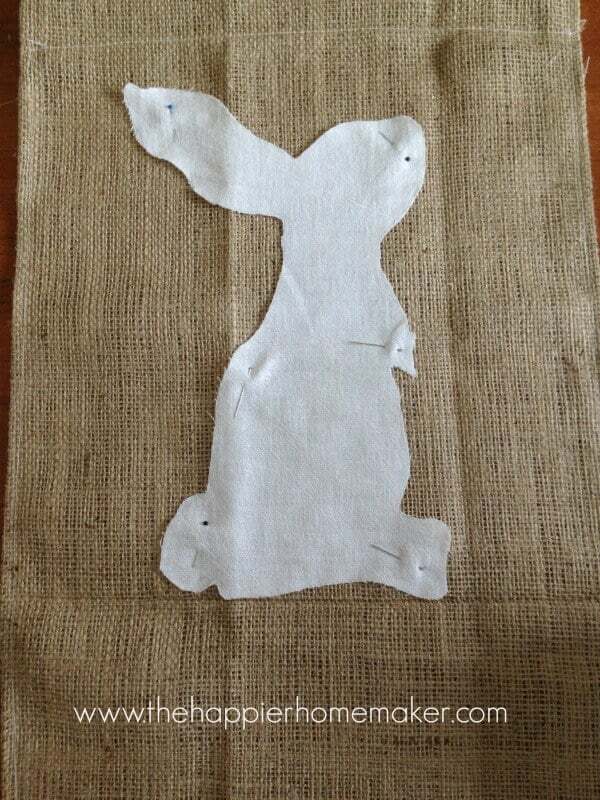 If you don’t feel comfortable free-handing your bunny silhouette you can easily google image search for one you like and print and trace, I found this similar one very easily. 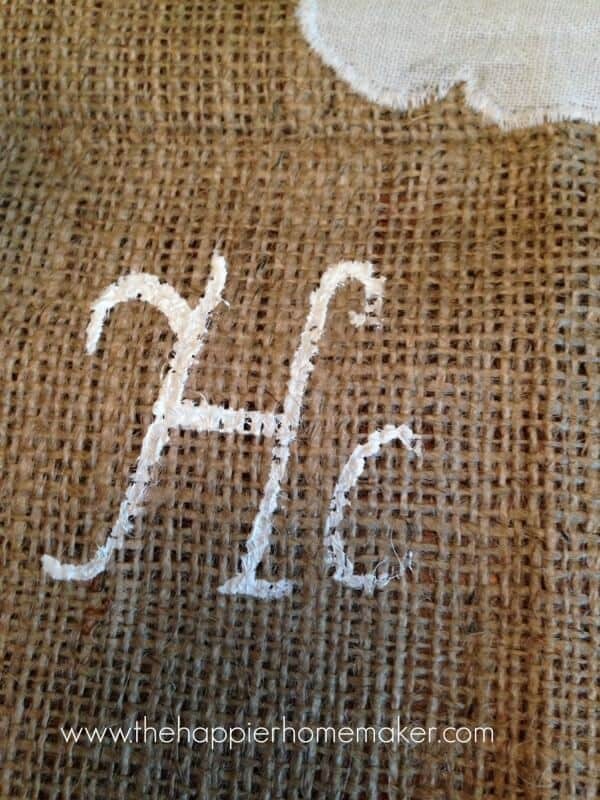 Iron both your bunny and the burlap. 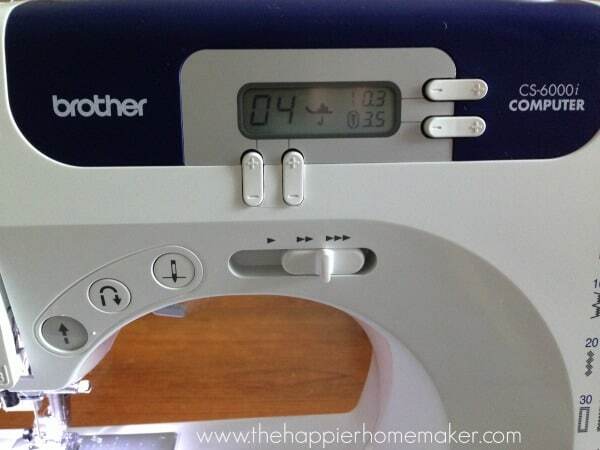 Fold a one inch seam on the two long sides and one short side of your rectangle and iron in place. 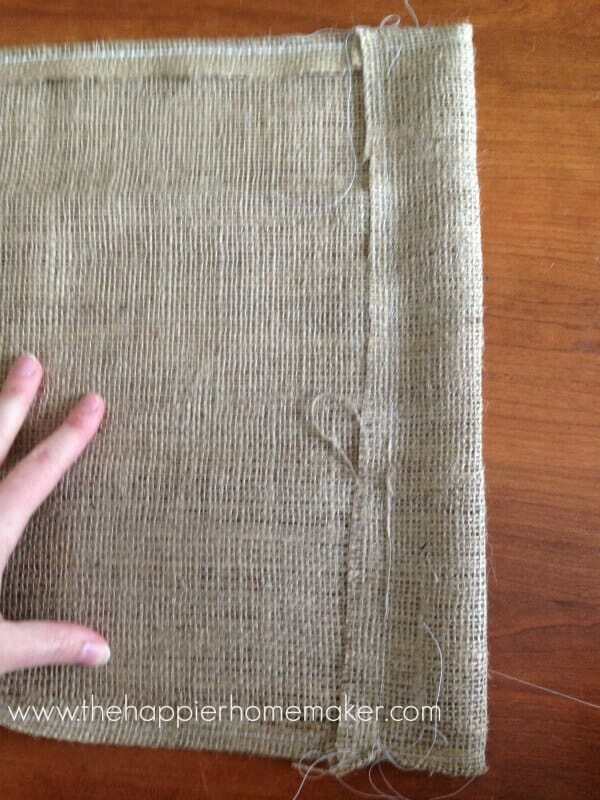 Fold a 3″ seam on the other short side and iron down. 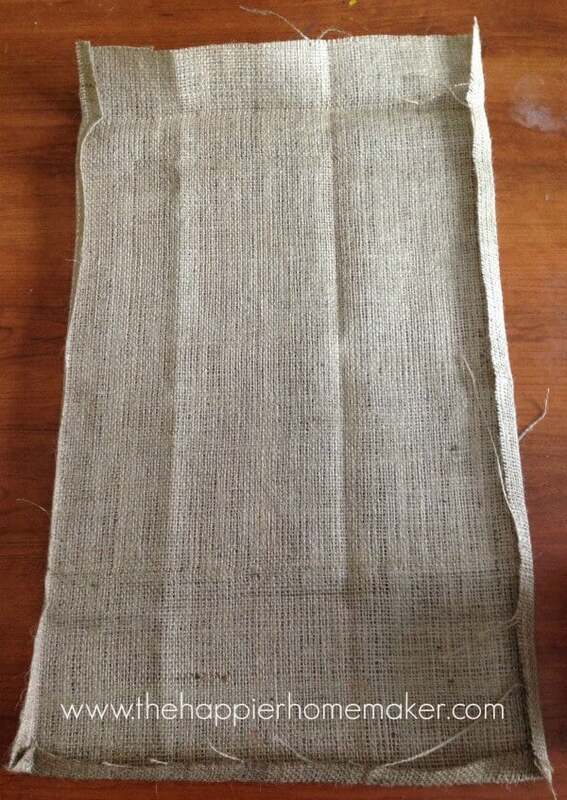 Hem the three side with the 1″ folded over. 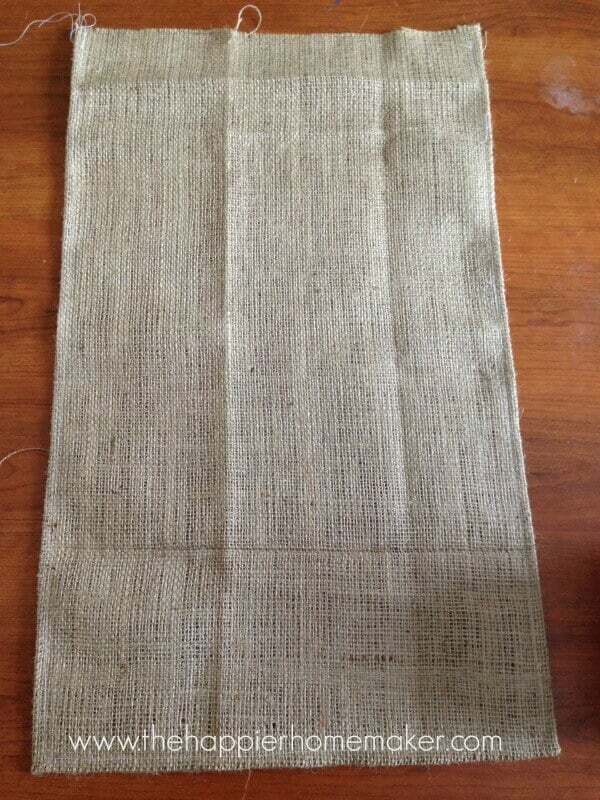 Hem the bottom of the 3″ folded edge to allow for a dowel or ribbon to hang your banner from-this is the top of your banner. Center your bunny on the top two-thirds of the banner and pin into place. Hem into place using a fine zig-zag stitch…I’m no master seamstress so I took a picture of my sewing machine settings so you can see the stitch I used. Remove the pins, it’s time to paint! I again free-handed my letting but you could cut a stencil or trace lettering printed on the computer if you feel more comfortable doing that. I used regular acrylic craft paint and a fine tip brush to paint the lettering and found it looked better if I did two coats since my fabric had such a wide weave. There you have it! I love way it looks over my mirror and it perfectly compliments the other whites and neutrals in the room! I’ll be doing a full Spring Home Tour on the 24th so stay tuned for the big reveal! Also please vote for my Triple Double Trifle in the Reece’s Baking Bracket, you can win a $100 Walmart Gift Card Daily for voting and can vote daily!! website? Itts very wsll written; I love what youve got to say. text foг only having one or 2 imaցes. Maybe you could space it out better? trick. Furthermore, The contents are masterpiece. you have done a fantastic process on this subject!